A couple of weeks ago I promised you more Serenity interviews - and today I'm making good on that promise. (If you missed the interviews with Adam Baldwin, Jewel Staite and Gina Torres, or Summer Glau and Sean Maher, they're still available: here and here). Today it's the turn of Nathan Fillion (Mal) and Morena Baccarin (Inara), and of creator / director Joss Whedon. You can find the new interviews here and here. My thanks to Universal for letting me reproduce them here. The Serenity DVD is released on February the 27th. You can find more details about the disc here. Menu screens from the disc can be found here. A trailer for the DVD release can be found here. Revolver Entertainment will release 13 (Tzameti), which won the 'Lion of the Future' best first feature film award at the Venice Film Festival 2005, and the Jury Prize at the Sundance Film Festival 2006, on April the 3rd. The movie was directed by twenty-six year-old Gela Babluani, son of acclaimed Georgian director Temur Babluani. The film is about a young man who assumes the identity of the man who's roof he is fixing, not realising that he's about to take part in a deadly game run by sinister criminal underworld types. The disc will be supplemented with interviews with cast and crew members. No technical details were announced. The RRP is £19.99. 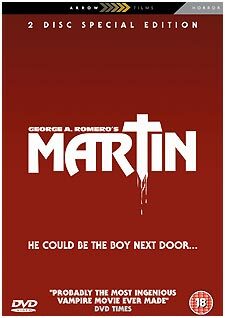 Arrow Films / Fremantle Home Entertainment is releasing two new two-disc George Romero Special Edition DVDs on March the 27th: Day of the Dead and Martin. Both films will be presented in 16:9 anamorphic widescreen format, with a choice of Dolby Digital 2.0 or 5.1 audio tracks. 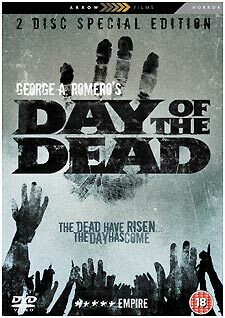 Bonus features on Day of the Dead include a world exclusive commentary track (by the special effects team of Greg Nicotero, Howard Berger, Everett Burrell and Mike Deak); a new documentary called The Many Days of the Dead; Day of the Dead - Behind The Scenes; filmographies; photo' galleries and original theatrical trailers for all three films in the original Romero zombie trilogy. Martin will feature a commentary track (by Romero, special effects artist Tom Savini, director of photography Michael Gornick and composer Donald Rubinstein); Making Martin documentary; notes on Martin by George A. Romero; US theatrical trailer; TV and radio spots; and poster and stills galleries. Not to be outdone, Tartan have announced the release of two trash classics, Paul Morrissey's Flesh For Frankenstein (1973) and Blood For Dracula (1974), for April the 24th. The films will be presented in anamorphic 1.85:1 format, with mono audio. Bonus features include commentary tracks by Morrissey; screen tests; and production stills. The two films will be released together as a box set. They'll be Region 0 releases, with an RRP of £29.99. There's no word yet on whether Flesh For Frankenstein will escape the censors scissors this time - all previous UK versions have been cut. Other Morrissey films are being prepared for release by Tartan, including Women in Revolt, Madam Wang's and Mixed Blood. Andrew Smith has written a review of the Buster Keaton Collection, which you can find by clicking on the sleeve image, right, or here. The set is released today, with an RRP of £29.99. Ceri has updated the Offers page. There are some great new bargains, including lots of Network titles, like the two-disc edition of The Sandbaggers - The Complete First Series for £5.99. That's one of the Network bargains from an etailer we're adding to the listing this week: The Hut. Other notable bargains includes the first season of The A-Team for less than £10 and the nine-disc Powell and Pressburger DVD set for £17.99. Optimum Asia has announced details of their next two Studio Ghibli releases: Kiki's Delivery Service and Laputa: Castle in the Sky. Both discs more-or-less follow the template set by Porco Rosso and Pom Poko. Both films are offered with a choice of Japanese or English Dolby Digital 2.0 (at 224kbps) audio tracks, and English or English HoH subtitles. Kiki's... is presented in 1.82:1 ratio; Laputa... is windowboxed to 1.77:1 (both are 16:9-enhanced). The main bonus feature on both is an alternate angle feature which carries the film's storyboards. Both also carry trailers for the film in question, and trailers for other Studio Ghibli titles. 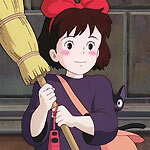 Kiki's... also includes a 2m clip showing Ursula's Paintings (2m). Laputa... offers textless versions of the opening and closing title sequences (5m), and a short History of Laputa featurette (2m). Both disc will be released on February the 27th, and both have an RRP of £19.99. Menu screens for the two discs can be found here. Optimum Asia will also release Kiyoshi Kurosawa's 2001 horror film Pulse (aka Kairo) - a film widely regarded as an inspiration for Hideo Nakata's Dark Water - on March the 27th. The film is presented in anamorphic 1.78:1 ratio, with Japanese Dolby Digital 2.0 (at 224kbps) audio. Note that the film has burnt-in English subtitles (which implies that the source elements used aren't as good as they could have been). 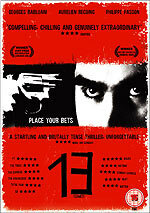 The film is supplemented with a Making of... documentary, Terror From The Internet (41m) and a theatrical trailer (2m). RRP for the disc is £15.99. 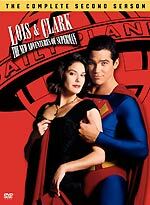 The second season of Lois and Clark (a.k.a. Lois and Clark - The New Adventures of Superman, if you're a programme scheduler) will be released by Warner Home Video on April the 17th. The six-disc set will feature twenty-two episodes, which were originally broadcast in 1994-95. Bonus material includes commentary on Season's Greedings, by star Dean Cain (who also wrote the episode). It will also contain two short featurettes: Lois & Clark - Secrets of Season 2 and Marvelling Metropolis - The Fans of Lois & Clark, a look at the relationship between the fans and the cast and crew members. This seems to tally with the contents of the R1 edition. The press release says the episodes are in "16 x 9 widescreen" - probably a mistake. The RRP is £39.99. MIA is releasing Simon Sprackling's 1994 horror film Funny Man on disc on March the 27th. The film will be "digitally remastered" in widescreen format. Bonus features include Sorted - The Making of Funny Man; an audio commentary by star Tim James and writer / director Sprackling; a theatrical trailer; a short film. The Hand of Fate; a pop promo'; Men In The Street (three short films by Sprackling starring James); Funny Man In Cannes; stills gallery and Funny Man - The Diary. No further technical spec's were announced. The RRP is £15.99. 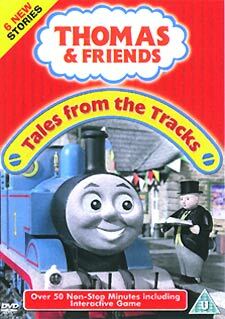 2 Entertain will release another volume of Thomas and Friends on March the 20th. The disc, Tales From The Tracks, features six new stories, and an interactive game. The RRP is £12.99. Footballers Wives - The Complete Fourth Series will arrive on DVD on March the 27th, from 2 Entertain. The three-disc set will contain all nine episodes of the 2005 series, which sees the cast joined by guest stars Anthony Worrall Thompson, Richard Arnold, Peter Andre, Lionel Blair, Neil Fox and David Seaman. The disc will feature an exclusive photo gallery. Big whoop. RRP for the set is £24.99. The final season of Six Feet Under will be released on DVD on April the 10th, by HBO Video. The set will feature twelve "one-hour" episodes, six of them with bonus audio commentary (# 55 aith Alan Poul and director Craig Wright; # 57 with Frances Conroy and writer Jill Soloway; # 58 with director Joshua Marston; # 60 with director Daniel Minahan; # 62 with Lauren Ambrose and Michael C Hall; # 63 with Alan Ball). There are also three thirty-minute documentaries: Six Feet Under - 2001-2005 Part 1 and Part 2, and Life and Loss - The Impact of Six Feet Under. Technical spec's were not announced. The RRP is £49.99. A Six Feet Under - The Complete DVD Collector's Edition box set will also be released on April the 10th. The twenty-four disc set includes all five series (sixty-three episodes), and has an RRP of £159.99. It will feature "all bonus features that appear in Series 1-5", including commentaries, behind-the-scenes featurettes, deleted scenes and "music tracks". Both sets are clad in identical packaging to the R1 editions. Warner Home Video has amended the spec's for their Special Edition release of Dog Day Afternoon, which is released today. They have omitted the Based On A True Story documentary. The disc will now be a whopping seventy-two minutes less Special than planned. Ouch! The American version isn't due on sale until February the 28th. I have no idea if the documentary will appear on the Region 1 edition. The Nanny McPhee marketing people have created a nice viral website for the film, which you can experience here. The DVD is available today! Film Score Monthly magazine has released another two discs in their series of Golden Age (late 50s and earlier) and Silver Age (late 50s to early 70s) soundtrack CDs. The Golden Age release offers two of George Duning's best scores, his compositions for the fine 1958 fantasy movie Bell, Book and Candle and the relatively-obscure Mr Magoo animated feature 1001 Arabian Nights (1959). The disc is another that makes use of the Colpix Records library, and offers the first CD presentation of either score. Bell, Book... was a great showcase for Duning's talents, and it would become his personal favourite. 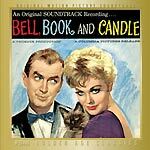 It's a heady concoction of romantic melody and jazz (several cues - those written for the witches club, the Zodiac - feature the Candoli Brothers on trumpet). It also found the composer experimenting with tape manipulation techniques, to reflect Kim Novak's character's witch powers (sadly, little of this is included in the soundtrack presentation). Bell, Book... is remixed in stereo from the original three-track half-inch album masters. Previous releases (the original 1959 LP, and the subsequent 1976 and 1980 Citadel re-releases), were mono. A later 1980 pressing was in stereo, and included a bonus track at the end of side two (Conjuring a Surprise - given its correct title, The Cat Again / Shep Whammied / You're a Fool, on the new disc, and re-instated to where it would have been placed if it had been included in the Copix original). 1001 Arabian Nights was the first theatrical release for UPA Pictures: an ambitions $2m vehicle for the well-established character Mr Magoo, directed by Disney veteran Jack Kinney (whose credits included Dumbo and Pinocchio). Duning's score is suitably exotic, offering an array of melodic themes (it features instruments named the Boo Bams, Crotales, Rhythm Logs and Oriental Ceremonial Bells!). The disc was prepared from the quarter-inch stereo album master tapes. If only the re-issue of the score would spur someone to release the film on DVD. If the idea of Mr Magoo is mind-boggling, then consider that the original plan was to place him in a movie adaptation of Don Quixote.. from a script by Aldous Huxley! The Bell, Book... score runs for just over forty-one minutes; 1001 Arabian Nights is thirty-one minutes long. The sixteen-page booklet features new extensive track-by-track notes, as well as reproductions of notes from the earlier releases. The Silver Age Classic release is a two-disc set that pairs two MGM scores: Oliver Nelson's ZigZag (1970)and Jerry Fieldings The Super Cops (1974). Oliver Nelson, who died in 1975 aged 43, is probably best known from his music for The Six Million Dollar Man. He also found success as a saxophonist, and as an arranger, (on scores like Last Tango in Paris and Alfie). He scored few movies, so this one, for a complex mystery-thriller starring George Peppard, is a rarity. 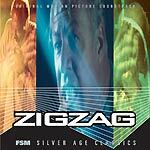 ZigZag is probably better known in the UK as False Witness (it was released on VHS under that title here). Nelson also worked on evergreen favourites like Columbo and Ironside, and there are hints of those series in his percussive, pulsing, big-band jazz-tinged score for ZigZag (which is his only score ever to have been released on LP). The CD features the premiere presentation of the complete original score from the film (26m), taken from the 35mm three-track masters. It also contains the original LP presentation of ZigZag (a mish-mash of re-recordings, jazzed-up tracks and vocal versions (28m)), and seven vocal tracks, performed by Gene Krupa singer Anita O'Day (who appears in the film). Two of these standards (Cole Porter's I Concentrate on You and Adamson / Lane's Everything I Have Is Yours) ended up in the film, as source cues. That completes disc one! The second disc is devoted to Jerry Fielding, and The Super Cops, the 1974 film based on the true story of two crusading New York City policemen. Think Serpico, The French Connection and Dirty Harry, and you'll have a pretty good idea of the type of movie that was popular at the time. Fielding's score isn't one of his best, but does offer some nice urban textures driven by big band horns. The disc was remixed from the three-track 35mm 'dub down' mixes made for the film. The thirty-nine minute score is supplemented by a collection of Fielding tracks from other projects. There are five tracks (28m) representing the composer's work for the short-lived James Stewart TV series Hawkins (Jerry Goldsmith's contribution to the series has already been released on disc by FSM). Finally, there are four tracks from The Outfit (which could not be fitted on FSM's release of the score), and an alternate cue from The Super Cops (totalling 14m). The disc's twenty-four page booklet features detailed notes on all the music, and contains three great pieces of kinetic poster artwork. Both of this month's releases come highly recommended. You can order them from FSM's online trading partner, Screen Archives Entertainment (here and here), or get them from specialist soundtrack retailers. You can find more information about the discs at the Film Score Monthly website. Both of these CD's come with reversible booklets, which allow you to choose which of the featured films you prefer (there's a choice of spine titles, too). If you roll your mouse over the sleeve images, above, you'll see the alternate versions.